Bingo has been around for many years and now, thanks to modern technology, you can play online bingo. Many people are discovering the advantages of playing online, which explains why it continues to increase in popularity. Bingo is a simple but fun game and you can play for many great prizes or cash payouts. Playing online is similar to playing in person at a bingo hall or some other type of facility but there are a few major differences. If you’re new to online bingo, here are a few pros and cons to consider. Playing online bingo is convenient. You don’t need to get dressed up and go out to play after a long day at work. You can also play anytime, even late at night so you’re not restricted to certain hours or days of the week like you are when you play in person. You can also save money, which you can use to buy more cards, because you don’t have to pay for the gas, bus ticket or other form of transportation to get to and from the bingo hall. You have a wide variety of sites to choose from, so you can try different ones to see what they offer. Some sites have a wonderful community where you can chat with other players and socialize in-between games. Some have huge cash jackpots or excellent prizes that you can win. This makes it more fun and interesting. It’s great for people who have never played bingo before because you can play free games to learn how to play or to get faster at finding the numbers and some sites offer tutorials that will guide you through gameplay. 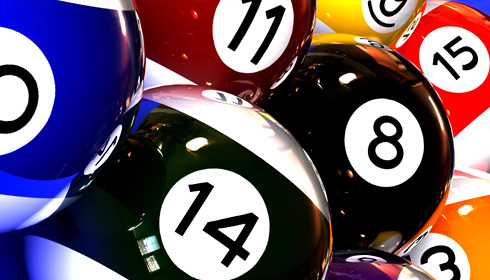 They also have a variety of different types of bingo games to choose from such as 90 ball and 75 ball. There aren’t too many cons associated with online bingo but there are a few things to consider. Playing bingo has always been a way to interact socially with other people. Even though you can meet a lot of new friends online, it’s not the same as actually getting out and seeing people in person. Don’t fall into the habit of always staying home to play alone, everyone needs human contact. Bingo is a form of gambling and you can become addicted to playing. It’s like any other gambling problem and it can create serious financial difficulties. Some people may also be tempted to play other games like online poker where they can lose lots of money. Since you can play online bingo continuously, it’s easy to lose track of time. This means that you could end up playing for hours without a break and this is bad for your health. When you play online, you need to keep track of the time spend playing. If you have a tendency of playing for long periods, you can set an alarm to remind you to take a break. Online bingo has a lot to offer players that includes high payouts and convenience but you do need to be aware of both the pros and cons of playing on the Internet. This will help you have a better, more positive experience so you can get the most from playing online.